The Thunderbird is an important symbol found in legends throughout North America. Sometimes friendly, sometimes threatening, this awe-inspiring bird was a supernatural creature that derived its name from the flapping of its powerful wings, which was said to produce thunder. Read on to find resources to teach children about this widespread Native American legend, as well as a new middle grade fiction series that celebrates mythical creatures. 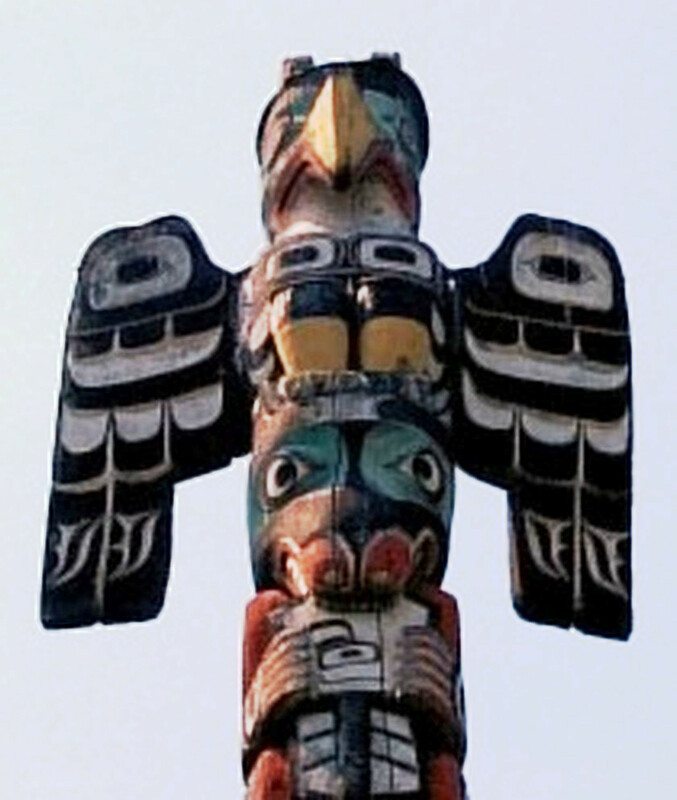 The Thunderbird appears most frequently in legends of the Pacific Northwest, yet it can be found throughout North America. It appears in songs and oral histories, even in ancient stone carvings. With the flapping of their powerful wings and the lightning that would shoot out of their eyes, the Thunderbirds were said to bring rain and storms. When learning about Native American cultures, it is extremely important to interrogate your sources. This is a highly sensitive topic among Native communities, and with good reason. For hundreds of years outsiders have appropriated and interpreted Native culture. Even when done with good intentions, this can distort the original context, so it is important to make sure that your source is reputable and respectful. For example, when searching for resources on the Thunderbird legend, I came across many entries from “cryptozoology,” a branch of pseudoscience that attempts to prove the existence of creatures from legend. As a result, there is a lively search for the “real” Thunderbird, sometimes thought to be a surviving pterosaur and sometimes a monstrous creature related to the condor. You also run into a lot of links about the cars and the airplanes named after the powerful Thunderbird! As a result, I’ve collected for you reliable resources about the supernatural Thunderbird from Native American legends, so you can learn more about it with your children. Keep in mind that the Thunderbird appears in legends across North America, so you will run across some variation.
. This traditional Absaroka (Crow) tale is here retold by Joseph Medicine Crow. It is an example of how the Thunderbird often is friendly towards humans and can help them. It is part of the Tales of the People series created with the Smithsonian’s National Museum of the American Indian. , we meet Elliot, a bookish boy starting his first day at a new school. He quickly teams up with Uchenna, his polar opposite in many ways except for how neither of them seems to be a bit of a misfit. But my favorite character is the wild-haired Professor Fauna, a mysterious teacher feared by most students. But when the children find a mysterious creature on a school field trip, they find that Professor Fauna is the only person in whom they can confide.
. Highly imaginative book for anyone who believes (or wants to believe) that mythical creatures might still exist! This book is part of the Basque Dragon book tour. Find out more in the links below! The wedding season is upon us, highlighted by the recent royal wedding. But if you are invited to a wedding from a culture other than your own, it can be difficult knowing what to expect – especially if you have children. Are children included in the invitation, and if so, how are they expected to behave and dress? I’ve asked parents from around the world to share their tips for wedding etiquette for families from their own cultures, and it’s a fascinating view! Many thanks to those that graciously shared their experiences with me for this article! Share your tips on wedding etiquette for families in the comments, and don’t miss my review at the end of the post of a new children’s book about Indian weddings! Read about a traditional wedding in Malawi! Read about the tradition of a “cake pull” in the US South! USA: In the US, it is mixed whether or not children are included in a wedding. Many report that children are often excluded from weddings, while others say that they are usually invited to daytime weddings. Often people assume that children are not invited and so leave them at home. Even Martha Stewart (or at least her organization) weighed in on how to decide whether to include children at a wedding. Your best bet? Unless it is specifically stated on the invitation, be sure to ask. How Are Kids Expected to Act? If you do take your children, what behavior will be expected of them? Here are tips on wedding etiquette for families from experienced parents! I received a complimentary copy of Let’s Celebrate an Indian Wedding for review purposes; however, all opinions are my own. This post contains affiliate links. If you click through and make a purchase, I receive a small commission at no extra charge to you. And now you can share the joy and beauty of an Indian wedding with your children thanks to the new children’s book Let’s Celebrate An Indian Wedding! (Maya & Neel’s India Adventure Series, Book 9). This book is a great way to prepare if you are attending an Indian wedding or simply want to learn more about it. This is the latest installment of the adventures of Maya and Neel, and it does not disappoint! I love the emphasis on the diversity of Indian weddings. While Maya and Neel are attending a wedding in New Delhi, there is also information about weddings in other regions, such as Tamil Nadu, where the bride and groom sit on a beautifully decorated swing! Maya and Neel get to participate in all stages of the wedding, including of course lots of dancing! Kids will love learning about lovely traditions such as stealing the groom’s shoes in order to get a treat! This is a wonderful book to share with children if you are attending a wedding this summer, or if you’d like to learn more about Indian culture! What are your best tips on wedding etiquette for families? The weather is finally warming up in our neck of the woods, so we celebrated by concocting some fruity, chocolate-y pops! Inspired by a traditional Puerto Rican treat, these tropical chocolate mango popsicles are full of fruity goodness – mango, banana, and coconut – plus a touch of decadence from the chocolate. What better way to celebrate the fact that summer is just around the corner? 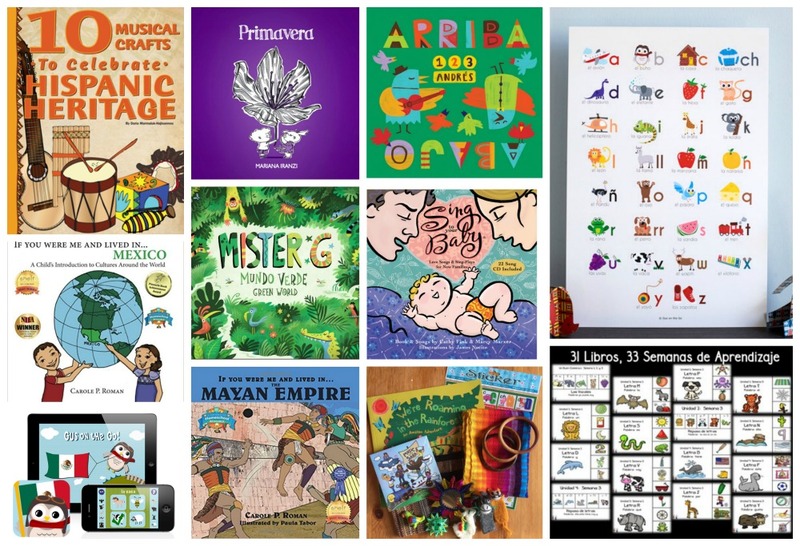 Plus, you don’t want to miss our giveaway of a wonderful new children’s activity coloring book all about Puerto Rico! Disclosure: I received a complimentary copy of Puerto Rico, the Island of Enchantment for review purposes; however, all opinions are my own. This post contains affiliate links; if you click through and make a purchase, I receive a small commission at no extra cost to you. Summer is coming, which makes us all think about tropical beaches and relaxing by the waves. To bring a little taste of the tropics to our home in Northern California, we decided to make these scrumptious tropical chocolate mango popsicles. I was inspired by Puerto Rican limber, a frozen treat similar to popsicles and often made with fresh fruits and juices. You can do all kinds of combinations, but we were especially interested in mango – which was great because I had a huge bag of frozen mango in the freezer! Of course, if you have fresh, by all means use that, but it is often hard for us to find really good mangoes in our area, plus with kids, it’s so much easier to use frozen since it’s already peeled and chopped for you. If you want an authentic mango limber, then I highly recommend trying this recipe from Modern Mami, or you can browse this great collection of healthy limber recipes! I wanted to do something a little different, so we added a little twist to our recipe by adding shredded coconut and banana, as well as chocolate. Cocoa powder alone is quite bitter, so I actually used hot chocolate mix (!) but if you don’t have this, just use cocoa powder and sugar to taste. Combine all ingredients in blender. Taste and adjust for sweetness. Pour into popsicle molds and freeze. Puerto Rico has been on my mind a lot lately, even since the devastation of Hurricane Maria and the excruciatingly long recovery that followed and is still ongoing. So when my friend Melissa López Chaperoo approached me to help edit her beautiful bilingual coloring activity book Puerto Rico, La Isla del Encanto – Cuaderno de Ejercicios: Puerto Rico, The Island of Enchantment – Workbook, I jumped at the chance. I am endlessly impressed by the author’s talent as an illustrator but also the depth of her knowledge about the subject. Puerto Rico, La Isla del Encanto – Cuaderno de Ejercicios: Puerto Rico, The Island of Enchantment – Workbook is incredibly comprehensive, covering topics as varied as history, geography, government, religion, sports, food, and the arts. It contains nearly 200 workbook pages (plus answer keys) appropriate for elementary school and even older (though younger kids will definitely enjoy the coloring part of it!) There is so much to explore here, no matter what your child’s interests, so it is sure to be a hit! 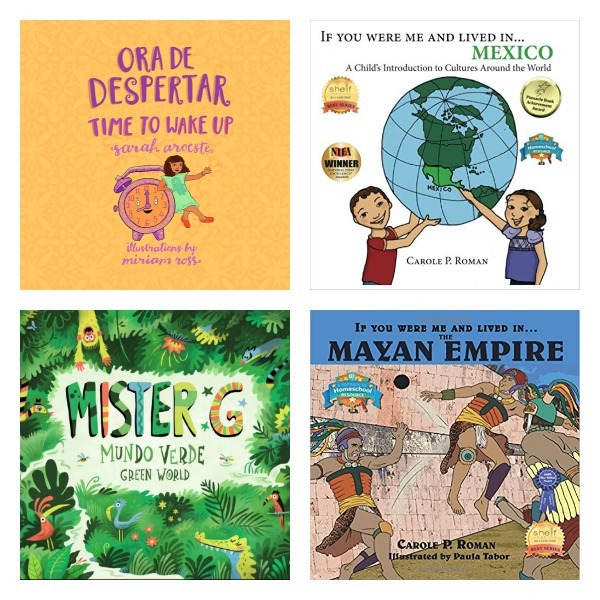 The book is completely bilingual, so whether your kids read/write fluently in Spanish, just un poquito, or not at all, this is the perfect book to expose them to Spanish and the rich culture and history of the Island of Enchantment. Even better, all of the profits from the first year of its publication go to recovery efforts in Puerto Rico. This book is a true labor of love, dedicated to the author’s homeland during its time of need. It is a great way to support Puerto Rico and teach kids about this beautiful island that they have surely been hearing about on the news. And now you can win your own copy! Simply comment on this post, letting us know which topic about Puerto Rico you think your child would be most interested in! Geography, history, the arts, sports, or … ? Let us know! Do you wonder how you can celebrate diversity with your kids because you live in a fairly homogeneous area? Here are great tips from guest author and mompreneur Kamilah of Many Shades Club, a unique children’s book delivery service featuring books with diverse characters and families of all kinds. Disclosure: I received a complimentary subscription box from Many Shades Club for an upcoming review; however, I received no compensation for this guest post on how to celebrate diversity with kids, a subject dear to my heart. When my husband and I (who were born and raised in the D.C. Metro Area and spent most of our adult lives living in Brooklyn, NY) moved to Florida, we were in for a bit of a shock. We were, in essence, city folk. We were used to having access on a regular basis to just about all kinds of people, food, languages, accents, complexions, genders, family make-ups, and socio-economic statuses that you can imagine. We knew we valued “diversity.” But we never really appreciated just how much until it became less a part of our everyday lives and more something that we had to put quite a bit of effort into trying to find. Throw kids in the mix, and for us it no longer was a wish, but an imperative. We felt that our regular access to diversity as kids had fundamentally shaped the people we became and the way we engaged with the world. Bringing this sense of awareness and regular access to all kinds of people and families (especially while living in a much more homogeneous place) is now priority #1 for us now as parents. Here are five things we’ve tried as ways to celebrate diversity in a place where it takes much more effort. Local Diwali Festival? We’re there! Japan Association hosting a day of demonstrations and exhibits? Sign. Us. Up. There’s something very mind expanding about being in places where you are in the minority. Not only does it give you a sense of awareness and a taste for what it’s like for people who may be in that position on a daily basis in their places of work, school, worship, etc, but there are valuable lessons in the discomfort that may be felt initially and the potential gradual lessening of that discomfort as you continue to expose yourself to different cultures. More than anything else, it’s just fun, and interesting, and cool, and lights up parts of your brain that might not otherwise be lit. Sign up for email lists, social media groups, etc for community events to make it easier to find things to do. And especially for older kids and adults, read books about the experiences of different kinds of people written from the voice and perspective of the people actually living those experiences. Think critically and mindfully about what you’re reading. When you don’t live in a city that relies on public transportation for the majority of the population to get around, taking buses and trains can lead to some interesting conversations and broadening perspectives about the ways that people live, possible disparities, and appreciation for what you do have. Do it on a day when you have time to spare, and start with a short trip (to the library or grocery store, for example). Many cities with public transit have websites with trip planners, or you can also use Google Maps. When our kids are in their comfort space of home and see all kinds of people regularly welcomed into our home, we can’t help but to think and hope it makes some sort of impression. It is also a wonderful way to teach by example about acceptance and welcoming people of diverse backgrounds. We regularly search and venture to new neighborhoods to try new restaurants that specialize in foods that we’ve never tried before. These are awesome places to both meet new people and raise adventurous eaters. At the end of the day it’s really all about exposure. It can start with surface-level exposure (just being in the space where there are different kinds of people), but the goal for us is for it to expand to more substantive engagement—actually getting to know people and experiences and being comfortable around all kinds of people and experiences, which we hope will grow into an appreciation for and an awareness of self and others. While it definitely takes extra work to celebrate diversity when everyone around you looks alike, it can be done. And we’re choosing to believe it’ll be worth it. All images courtesy of Many Shades Club. Kamilah is an Orlando based nature-loving, travel-seeking wife and mother of two, and the mom in the ‘Mom & Pop’ duo behind Many Shades Club, a diverse children’s book delivery service. Many Shades is a unique children’s book delivery service. Every month children receive a high quality book, carefully curated by us, that features diverse characters and families of all kinds. We do the searching, shopping, and shipping for you, bringing compassion and awareness right to your door. Hispanic Heritage Month is here, and it’s one of my favorite times of year! 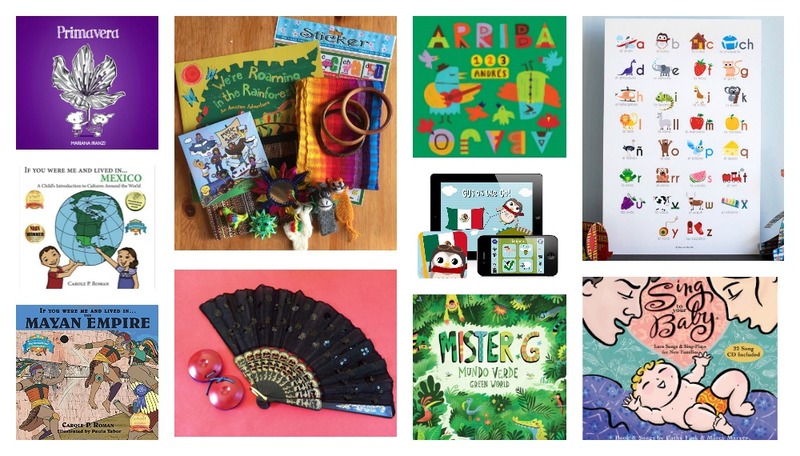 Not only do I get to throw a virtual party with my blogger friends (see below for details on our big HHM series and giveaway), but it’s such a fun excuse to celebrate Hispanic heritage with my kids! While we often do crafts and read books, I also really love getting them in the kitchen to make some traditional recipes! So whether you are hosting a cultural event, teaching a group of students, or cooking with your kids at home, here is a collection of some wonderful Hispanic Heritage Month recipes to try! I’ll never forget returning to the US after a year in Bolivia, and so many people commented to me, “You must be so tired of eating tacos!” It seems funny now, but at the time it was slightly incomprehensible: Bolivia is thousands of miles and an entire continent away from Mexico, so my friends in Bolivia had little concept of what tacos were or how they should taste. Despite some commonalities, the cultures and cuisines of Latin America are incredibly varied. Hopefully this list will give you an idea of just how diverse these food traditions are. We hope you enjoy cooking these Hispanic Heritage Month recipes with your kiddos! Let us know in the comments your favorite dish to cook from Latin America. What are your favorite Hispanic Heritage Month recipes? Giveaway begins September 15 and goes through October 15, 2017. Enter below for a chance to win one of these amazing prize packages! Some prizes have shipping restrictions. In the event that a winner lives outside the designated shipping area, that prize will then become part of the following prize package. For more information, read our full giveaway rules. 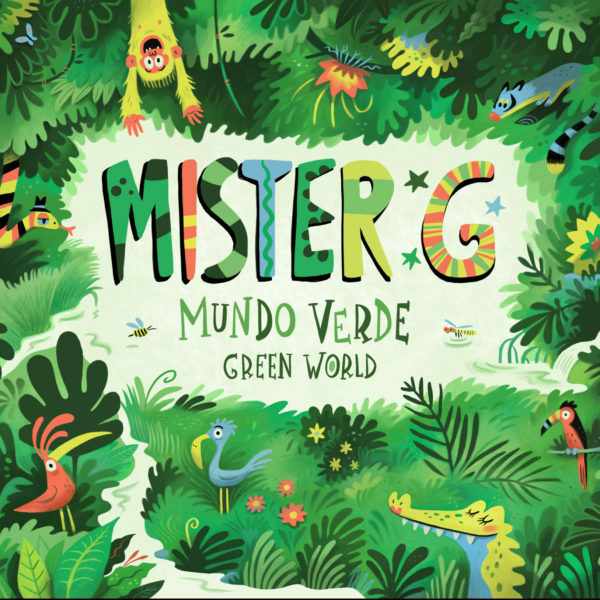 We are giving away an extra copy of the CD Mundo Verde/Green World from Mister G (US Shipping Only) and up to 10 digital downloads of this brand new album: Watch a video of the title track! Books are such an incredible way to open up the world to children, yet still today in 2017 the characters in children’s books remain overwhelmingly white. Studies show the importance of representation in literature, yet there is still an incredible diversity gap. 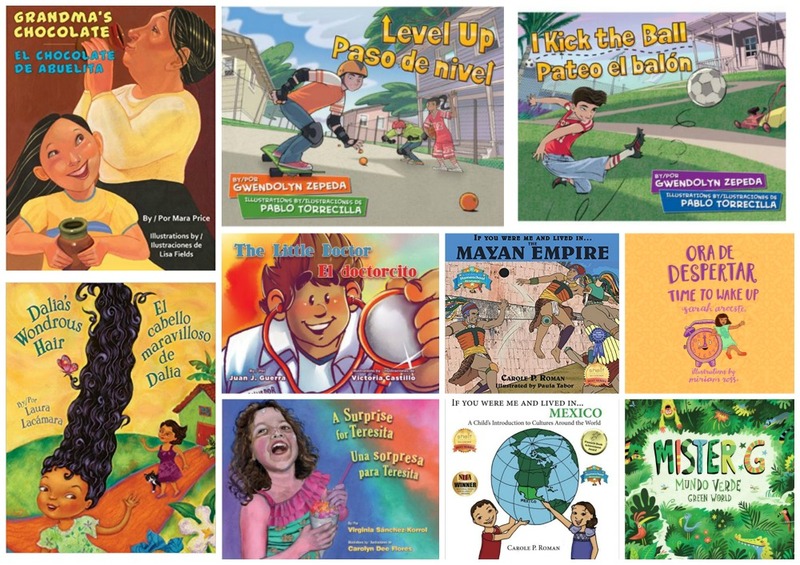 The good news is that there is a groundswell of support for more multicultural children’s literature, and our sister website Multicultural Kid Blogs has just launched a campaign to encourage people to donate books – especially diverse books – so that more of these incredible stories find their way into the hands of the children that long to read them. 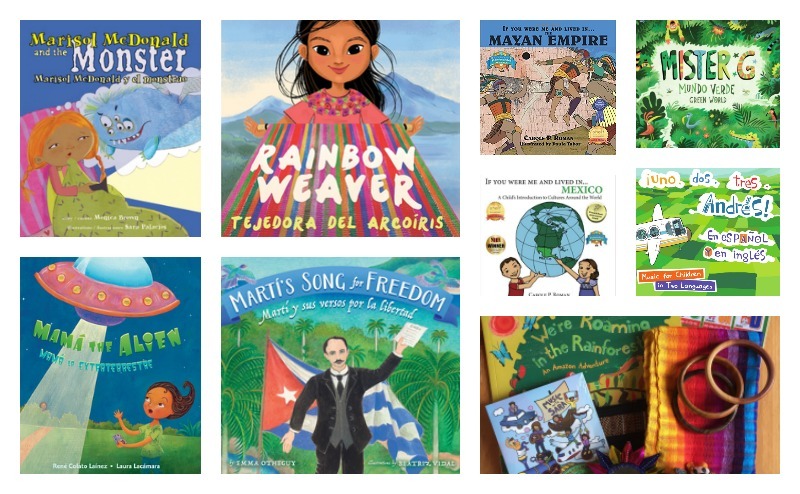 Today you can find me over at Multicultural Kid Blogs sharing a list of where you can donate books to make diverse literature more widely available. Be sure to share your photos on social media using the hashtag #donateMKB! Learning about other religions is an important of a world cultures curriculum, but one religion I did not know much about growing up was Sikhism. That is why I was so pleased to receive some beautiful books on Sikhism for kids, which prompted me to deepen my own understanding of this egalitarian, inclusive religion. When my oldest son was very young, some friends and I had a chance to visit a local Sikh temple with our little ones. It is was an experience I’ll never forget! We were shown such kindness from everyone we met, and I was impressed with their dedication to serving others, as exemplified in the meal that was provided to everyone who attended. Since I was there with a three year old, I didn’t have a chance to really ask questions, and so was left wondering exactly what Sikhs believed and where their traditions had come from. Why do the men wear turbans, and why do they keep their hair so long? Do they believe in one god or many? Why do they all seem to have the same last names? If you or your children have similar questions, here are great resources on Sikhism for kids that you can share. Disclosure: I received complimentary copies of the books below for review purposes; however, all opinions are my own. A great place to start is this overview which outlines 10 things everyone should know about Sikhism, including the fact that it is an inclusive, pluralistic religion whose members have a long history of fighting for social justice. You can also get a good overview from the Sikhism Guide online or from the BBC website. I really love the Khalsa Kids website. (Khalsa is the word for the Sikh community). This site is geared towards Sikh kids, but has one section devoted to explaining Sikhism and another just for teachers. These even include lesson plans and aids for classroom discussions. You really get the sense that Sikhs spend a lot of their time having to answer questions about themselves! And now for those beautiful books I mentioned! I am grateful to the lovely Saffron Press for sharing them with me. All three are from author Navjot Kaur but with different illustrators, all of whose paintings compliment the text of each book in wonderfully distinct ways. (Side note: the author’s last name of Kaur is the female equivalent of the last name Singh. All Sikhs have one of these two last names – Singh for males, Kaur for females – to demonstrate their belief in total equality, a revolutionary idea when it was founded in 15th century India, steeped in the hierarchical caste system. Traditionally, last names were an easy way to find out what caste a person belonged to). As of this writing none of the books below is readily available from Amazon; however, you can find them all on the Saffron Press website. The Garden of Peace is a lushly illustrated book about the origins of Sikhism, using the allegory of planting a garden from seeds that no one thought would sprout. Each seed represents a central tenet of the Sikh faith, such as kindness or determination. Despite the opposition of the evil emperor and his warriors, the little seeds grow into a beautiful garden of peace, tended by a growing number of faithful followers who come from all walks of life. At the back of the book are instructions to grow your own garden of peace by, for example, planting kindness and believing in yourself. I also appreciated the extended author’s note, which gives a detailed history of the origins of Sikhism and how Sikhs today carry on this tradition of peace and service to all. The award-winning book A Lion’s Mane focuses on the most visible marker of a follower of the Sikh faith – the turban. It explores the meanings of this “lion’s mane” by traveling around the world to connect this Sikh tradition to beliefs about lions in different cultures. For example, Richard the Lionheart of England had many brave knights, and being a Sikh also means having courage. The underlying theme of the book is that although the boy in the book may look different, the turban that looks so “strange” is precisely what connects him to others around the world, and, more to the point, each of us has something that makes us special: “I have a lion’s mane and I am different, just like you!” Don’t miss the curriculum guide that the author has created to accompany this conversation-sparking book. Dreams of Hope is a gentle bedtime story told by a father to his young daughter. “Where will our dream journey begin tonight, Little One?” His words travel with her as she flies through dreams to visit the nighttime creatures settling down to sleep in the meadow, on the mountaintop, and in the ocean. The text is sprinkled throughout with Panjabi words, explained in a glossary at the back, including the mantra Vaa hey guroo, which is used by Sikhs as “an expression of awe or wonder.” This gorgeous book is clearly meant to be a keepsake, as it contains space for you to write down your dreams and wishes for your child. It also includes a Dreams of Hope Travel Guide with drawings of peace monuments around the world.